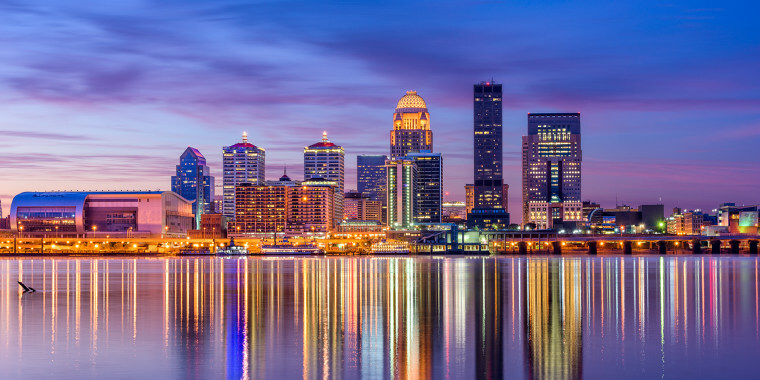 Louisville's history might be rooted in grown-up pastimes like horse racing and bourbon, but this friendly, easy-to-navigate city will delight families as well. You don't need to be in Louisville during Derby Week to appreciate Churchill Downs and the Kentucky Derby Museum. On race days, adults pay just $3 for general admission tickets and kids under 12 get in free. Watch the race from different angles, visit Paddock Plaza to watch the horses prepare and pick up ice cream for the kids and mint juleps for the adults at one of the many concession stands. The Derby museum requires a separate entry fee, and offers morning and evening tours of Churchill Downs, including a golf-cart trip around the racetrack ($99, kids must be 10 or older). The Belle of Louisville paddlewheeler steamboat, which was built in 1914, is a National Historic Landmark offering brunch and dinner cruises on the Ohio River. Kids will love the old-timey music that comes from the calliope, an organ with 32 pipe whistles. Got little leaguers in tow? The Louisville Slugger Museum & Factory, known for its giant leaning bat outside, should be on your list. You can tour the bat factory, climb and slide on a giant glove sculpture and even hold bats used by baseball icons like Mickey Mantle, Johnny Bench, David Ortiz and Derek Jeter (talk about a hands-on exhibit). Some hotels are known for their great art collections, but the 21c Museum Hotel is an actual museum, housed in five 19th-century warehouses, that also happens to have 91 rooms with floor-to-ceiling windows and original artwork. The property welcomes its littlest guests by providing them with a gallery guide to show them around, tickets to the nearby Kentucky Science Center, a milk and cookie delivery and a tent set up for in-room camping. The Holiday Inn Express & Suites Louisville Downtown is a comfortable, conveniently located choice near the Slugger Museum. For families not wanting to deal with driving, the hotel runs complimentary shuttle service throughout the city. Shirley Beard, the chef and founder of Shirley Mae's Cafe in Smoketown, is considered a culinary legend. The cozy 1880 clay-brick building feels like someone's home, and guests are warmly greeted like family. Popular dishes include the wings, fried corn, hot water cornbread, and ribs, but be sure to save room for desserts like jam cake with caramel frosting and blackberry cobbler. The open kitchen lets diners watch Beard and her daughter Theresa, who is also a chef, work their magic. Muth's Candies has been run by the same family since 1921, and the folks you'll see behind the counter are third and fourth generation Muths, who still use copper kettles and artisanal hand techniques. Must-sample treats include the caramel-covered marshmallows called Modjeskas (named after a Polish actress), bourbon balls, chocolate jellies and popcorn peanut brittle.